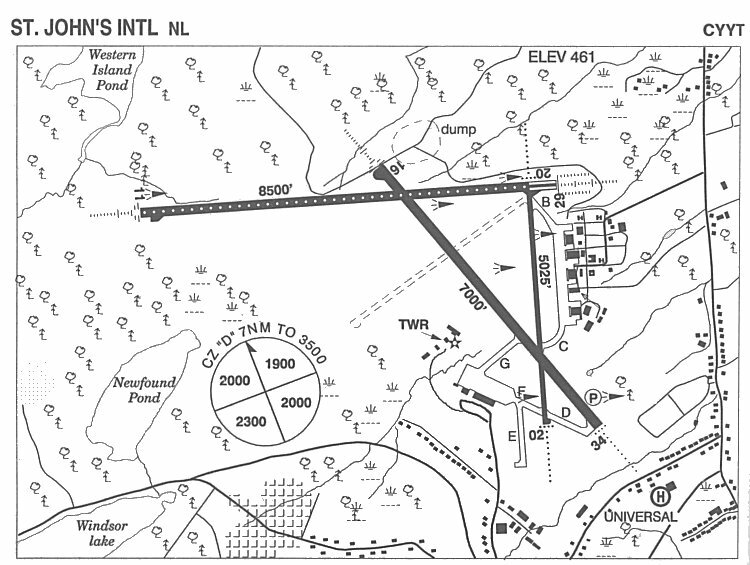 Airfield diagram of the St. John's airport - 2004. 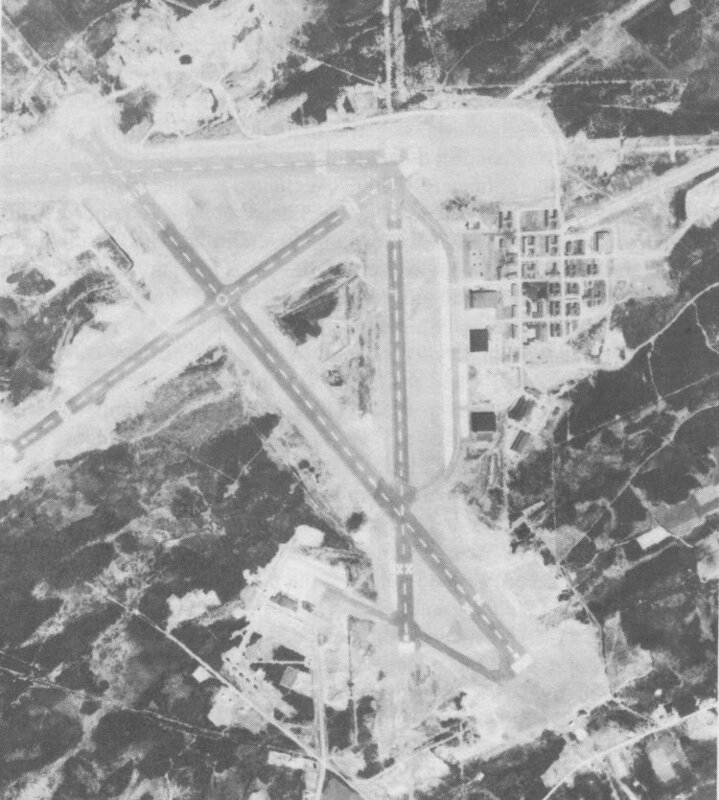 This airfield served as RCAF Station Torbay until 1964 when it bcame a civilian airfield. Aerial photo of RCAF Station Torbay - 15 May 1962.